Congratulations to "Julie O." the winner in Amber Leigh's giveaway. Thank you to all who participated. 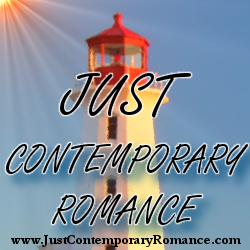 Hello contemporary romance readers! My name is Amber Leigh Williams. 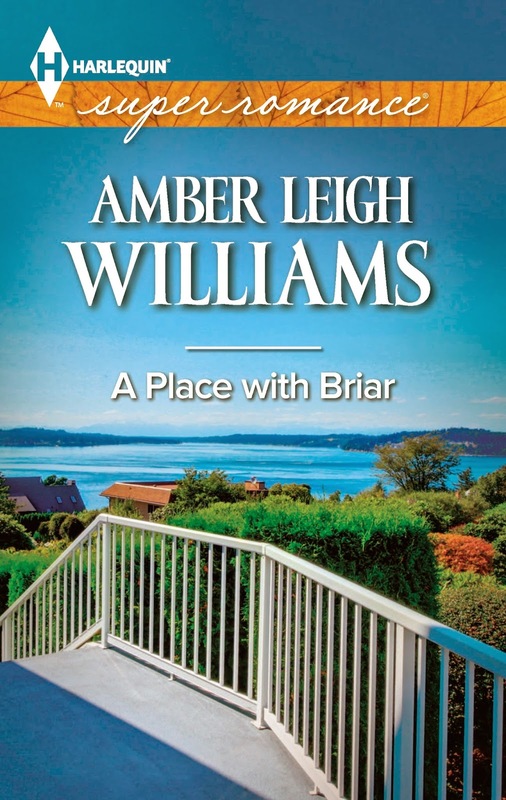 My debut Harlequin Superromance novel, A Place With Briar, was released on April 1st. I’m super excited to be here and give you a glimpse into the love story and the small town where the book and its soon-to-be sequels take place…. Setting the scene is always a challenge. Often when writers speak of world-building, a lot of the time they’re referring to paranormals or historicals. As someone who has dabbled in all three of these sub-genres of romance, creating an everyday world against the backdrop of a contemporary story still takes work. Especially when it’s somewhere like Fairhope, Alabama, the setting of A Place With Briar, which is not only a real-life town on the beautiful Eastern Shore of the Mobile Bay – it also happens to be my hometown! I’ve lived over half of my life on the Gulf Coast. Many of those years were spent in Fairhope. I’ve traveled throughout the South and I can tell you there’s nowhere quite like this small town. It’s not only gorgeous; it is and has been a haven for artists like writers Fannie Flagg, Winston Groom, Winston Groom, W.E.B. Griffin, Rick Bragg, Jimmy Buffett, Upton Sinclair, Sonny Brewer, and many others. Travel Magazine recently named Fairhope as one of the most romantic places in the country. All of my life, the spirit and atmosphere of my hometown has called to me and compelled me to put it on paper. But converting a place that is loved and held sacred by so many, including myself, was an intimidating experience. I recently finished a draft of the first sequel to A Place With Briar, which will be released in October of this year. Despite the fact that I had already introduced readers to the Eastern Shore, I found it no less challenging to create it on the page again in this second book. How does a writer recreate a real-life place on the page? For me, it was more about compelling the spirit of Fairhope and the area surrounding it, which I believe is what makes it unique. It wasn’t just about the moody gray bay or the flowers on every corner. Neither was it about the southern architecture with its French Creole flair. It was more about how the light shines there, how a lazy June breeze moves the Spanish moss that hangs from the trees. It was about the charm and hospitality of the people who live there. Writing about Fairhope also inspired me to get down deep into the themes of legacy and duty, which is the backbone of the heroine, innkeeper Briar Browning. In addition, I delved into other themes that are close to heart that my tortured hero, Cole Savitt, desperately seeks – honor and a place to call home. One lucky commenter on today’s post will win a signed copy of my historical romance, Forever Amore (nominated for Best Book of the Year by LAS Reviews). All you have to do is tell me where in the world your heart calls home. It could be your hometown, a travel destination, even a person! I’ll be around all day today and tomorrow to chat. He's in some serious trouble…. Cole Savitt does not want to deceive Briar Browning. But if he hopes to see his son again, he has to find the weaknesses in her charming bed-and-breakfast, then get out of town fast! But the quaint inn isn't the only thing charming him…. Cole's straightforward plan becomes anything but when he begins to fall for the beautiful innkeeper. Suddenly everything's on the line—his future with his son, a chance at happiness and the love of a good woman. Cole must rethink his priorities…and the stakes have never been higher. You can purchase A Place With Briar now in stores or online…. Amber Leigh Williams lives on the Gulf Coast. A southern girl at heart, she loves beach days, the smell of real books, relaxing at her family’s lakehouse, and spending time with her husband, Jacob, and their sweet, blue-eyed boy. When she’s not running after her young son and three, large dogs, she can usually be found reading a good romance or cooking up a new dish in her kitchen. She is represented by Joyce Holland of the D4EO Literary Agency. Visit her on the web at www.amberleighwilliams.com. You can also find her on Twitter (@AleighWilliams) and Facebook (http://www.facebook.com/amberleighwilliams). Thank you so much for hosting me, @JustContemporaryRoms! bn100, this is exactly how I feel about home! Congratulations on your debut SuperRomance novel. Ahhh......Small towns, Inns, these are some of my favorite things. The book sounds lovely. The Great Smoky Mountains of NC and Tennessee is where my heart calls home. Those awe-inspiring views never fail to bring tears to my eyes. Laurie, these are some of my favorite things, too! I've always wanted to visit the Smoky Mountains. My family holds some strong ties to Tennessee and that area. But, physically my home is Central Illinois. I love it here because that is where all my family lives. Congratulations on your new series. I believe that your using a small town you know and real experiences will make the books come to life.